Each V style pulley is meant to hold a certain amount of V style belts. Depending on your car's application such belts could be used for air conditioning, alternator, power steering, etc. 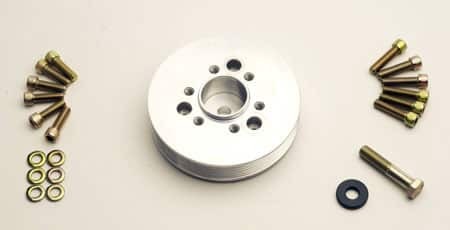 Machined from 6061 billet aluminum, these show ready pulleys are heat treated for maximum durability.